Laugh? I laughed until the tears were streaming down my face. Brooke and her cria, Nugget, were quietly minding their own business and munching their way back to their shelter. (If you own alpacas, you’d recognize that nonchalant, almost bored, meandering. ) CRASH-BANG! All of the sudden, BOOM!, as both animals reached the entrance to the shelter they both shrieked and bounded away. That’s when I began to laugh as I saw what they had seen… the very preggers Victoria Secret, popping her head around the corner from inside the shelter with her head completely covered with long grasses…to the point where she resembled a well-adorned Papua New Guinea native in full headdress! Mind you, these are regular pasture mates and to see this reaction to the “new” Vickie, was priceless. Or, how about those tender, endearing moments we encounter at the moment of birth. When Victoria gave birth to Gold Digger in mid-December, it was only about 15 degrees and almost completely dark at 5PM here in Northern California. Leave it to Victoria! They do have their own personalities and hers is rather contrary and often almost arrogant. Don’t laugh, she is absolutely convinced that she is the best alpaca in the field….any field. So, could she have a cria mid-day (like most female alpacas would) when it is at least 35 degrees? No way. Her theory, I think, is to make us work as hard as possible to properly and safely assist in this royal birth. If we had a royal gong, she would expect us to ring it for her. (No kidding, she thinks of herself and her offspring that way, I’m sure!) After the running for hairdryers, warming lights and the heating of towels in the clothes dryer….easy as pie, Victoria presents us with a little black female and is quite proud of her accomplishment. Funny thing about we humans that cold day, is that when we gave her a quick look (don’t be too hard on us, it was almost dark), we thought she was a he. We were delighted to find out otherwise the next morning…a 15 lb black female! Each birth is special and each seems to be unique. One of the biggest joys of alpaca ownership is the birth of a new cria, and, yes, I do carry photos with me at all times! Which brings me to another observance….we don’t own them, they seem to own us. And they know how to train us. When they stand at the gate at feed time, their meaning is clear. “Move it, and bring on the grass, and pellet appetizers would be great!” Brooke tells me she was to be sprinkled when the heat gets too hot for her by pawing at her water barrel. The others tell me that is a good idea, too, by running over for theirs. They also have an uncanny ability to display such a sincere curiosity of all of our human activities that even the most hardened investor can be won over by an alpaca. When, as a new owner, you are approached by your animal in an obvious sign of acceptance, it’s all over. Alpacas are, to my way of thinking, then, the best animal to purchase when you are looking for a lifestyle change. Many of the owners I have talked to all indicate the same thought: “It is almost like a privilege to care for them.” Add to that the fact that alpacas can be bright (ever had one open a gate lock? ), hardy, easy care, gentle and good around children, require small acreage, low maintenance, and (once your get over the sticker price you will pay for your soon to be cherished animals), relatively low in cost to feed and manage… a fine livestock choice. They are also funny. Yes, they will change your lifestyle….they’ll improve it both emotionally and financially. Point of fact is that I have been living in the country and caring for our alpacas for almost 13 years now and my blood pressure is much lower. No change in weight, medication or health care, just the country and alpacas. Oh, and Paul and I smile more….laugh more….enjoy life more…and then, once in awhile, a tear might fall…but for all the right reasons. Alpacas are funny that way. If you are thinking of getting into the alpaca lifestyle, you are going to need a few things. We are building a list of materials we use here: http://alpacamine.com/livestock-supplies/ This is a work in progress! Alpacas and their cousins, the llama, have been domesticated for some 6,000 years. Alpacas are l/2 to l/3 the size of a llama and they produce a fine cashmere-like fleece, once reserved for Inca royalty. Together with the llama, who was used to carry cargo, they provided the food, fuel, clothing and transportation for a civilized that thrived in an otherwise hostile environment. 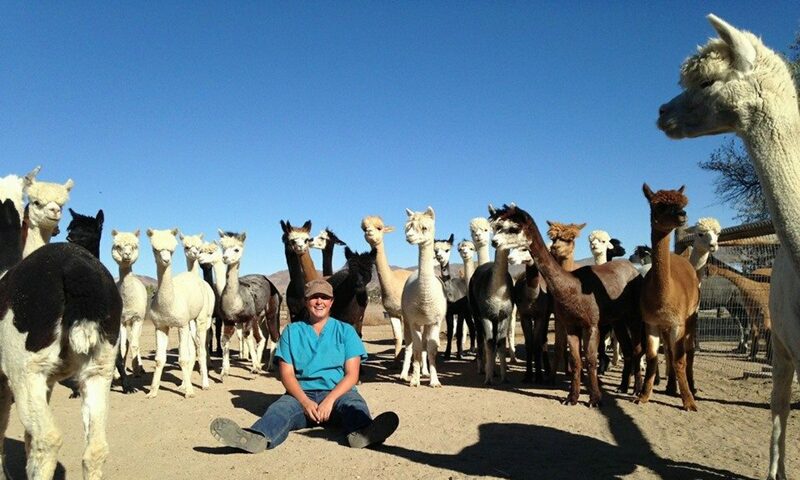 What really happens on an alpaca ranch!